What are the two most common ways to prevent a wine going through malolactic fermentation? You can prevent malolactic fermentation through either the addition of SO2 (Sulfur Dioxide) or through cold stabilization. You can also introduce additives to kill the bacteria, but this is not as common as the first two. Other than the stylistic changes to the wine (e.g., flavor profile), what is the main advantage to having a wine go through malolactic fermentation? The answer I was looking for here: It serves to stabilize the wine–otherwise it still might happen in the bottle and then you will have a real mess on your hands. It also can help to make a wine more approachable (drinkable) sooner. Almost all red wines go through malolactic fermentation, with a couple of notable exceptions. Can you name a red wine that does not? Beaujolais Nouveau and Lambrusco are the two I know of, perhaps there are more (I actually got this question, and answer, from Wes Hagen on a recent visit to Clos Pepe). Bonus Question (that has nothing to do with wine): Where was the picture taken? The photo was taken (by me) in front of the Notre Dame cathedral in Chartres, France. 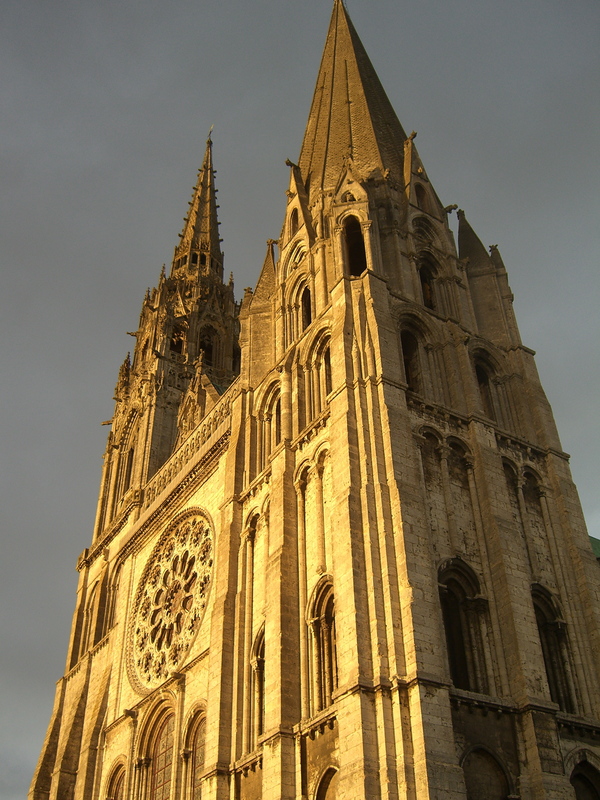 Even if you are not even slightly religious and find yourself in Paris, jump on a train to Chartres and visit the cathedral–it is amazing (and even better if you ride a bike there–watching the cathedral grow on the horizon from many miles out). Well, we had one winner: the armchairsommelier. Both Damon at vineconnections.com and Gabe also gave stellar responses, so they get a shout out as well. On to this week’s quiz. 1. What are the advantages of a cold (first) fermentation? 2. Why would you possibly want to prevent malolactic fermentation? 4. I thought I would continue with my own little “Tour de France” with another picture for a bonus question. Where did I take this picture? Hint: it is not in a wine region, but it is in France (a bit harder than last week!). Have fun with the quiz–answers next week! This entry was posted in Malolactic Fermentation, Travel, Trivia, Wine and tagged Chartres, France, Richard Juhlin. Bookmark the permalink. What picture? 😉 Guess I got here too quick. Yes, I am a dope. It is up there now! I don’t know where it is… but it’s stunning! Great place to ride a bike…. cold stabilization is the process of supersaturating a wine with cream of tarter to precipitate out potassium bitartrate crystals that would otherwise form during refrigeration. while it is a common practice for white wines that are not put through ML, it does not actually prevent ML from occuring. You are so far ahead of all of us mere mortals here! Easy to take photos when the subject is stunning. Your worst photos put my best to shame! My first guess on the photo was Colmar. But after re-reading the question, I ruled that out since Alsace is definitely a wine region. 🙂 Also the mountain in the background didn’t really seem right, so I moved to toward the Alps. 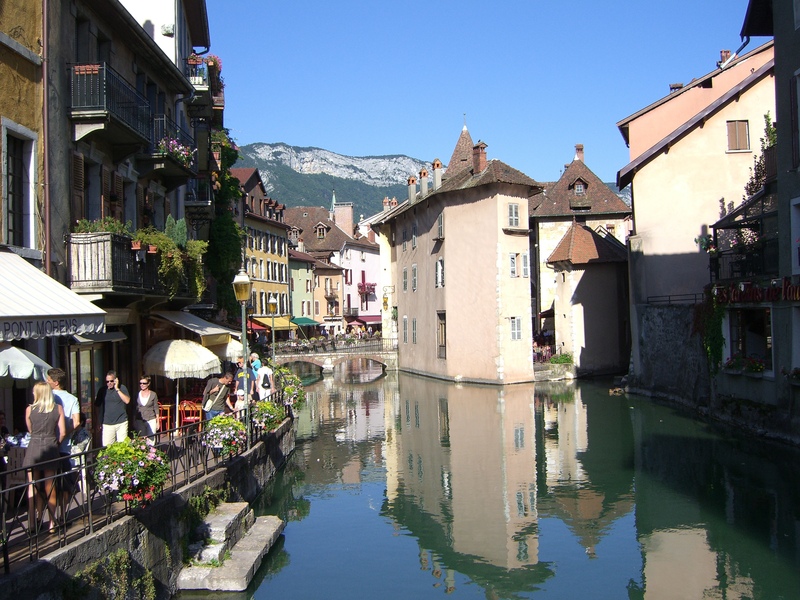 How about Annecy – “the Venice of France”? Very nice deductive skills Mr. Albrecht! 1. Cold fermentation preserves the delicate aromas and flavors of white wines. This is why white wines are fermented at lower temperatures than red. 2. Obviously some white wines do not benefit from malolactic (sauvignon blanc in some cases, for example), as you’d want to keep those more fresh green aromas. Not sure if that’s what you’re looking for! 3. Racking is the process of separating the wine from its lees after sur lies aging or batonnage. 4. Photo is unbelievably gorgeous, have no idea where it is! Looks like the “Venice” of France! Must be a town in the Alps or another mountain range judging from those peaks in the back! Great responses–thanks for playing, answers next week! 1. Cold (First) Fermentation – is thought to allow for more color in a red wine, different (better) aromas, and softer/less bitter tannins. I believe it’s become popular in the making of Pinot Noir. 2. Preventing Malolactic Fermentation – preserves some of the tarter flavors prized in some white wines and helps maintain a higher acidity level. 3. Racking – is moving the wine from one barrel to another during fermentation using gravity (not a pump) which draws the wine off the sediment. 4. Photo – I believe your photo is from Annecy. For not having done this before, you certainly knocked it out of the park! What a great idea! The Drunken Cyclist has been doing these Wine Triva Wednesdays for awhile. I only recently started reading them, and have found them entertaining and highly informational. 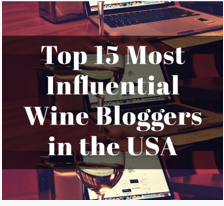 As I make clear, I am a wine enthusiast not a sommelier, so I have plenty to learn. This week was the first time I decided to give the answers a go. And, yes, I did do some web searching to find the answers. What better way to learn? Anyway, I’m enjoying this weekly quiz series. I hope you do,too. I agree with whoever is right.